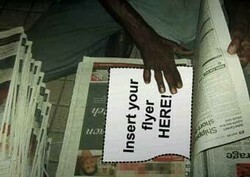 Pandit news agency We are effort inserting pamphlets in paper honestly by your preferred areas. We provides service in uttam Nagar, Vikas Puri, Dwarka. We are covered this areas carefully to lead your frofit.